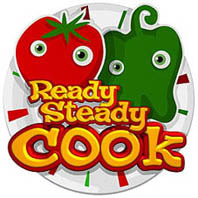 Ready Steady Cook is an Aussie television programme on Channel 10, based on the BBC's show in the UK of the same name. Anyway, I didn't know this, but did you know if you chop onion with a SHARP knife (as opposed to a dumb knife… har har) you won't get anywhere near the amount of stinging in your eyes? With a blunt knife you break a lot more cell walls which releases more of the vapour which, when mixed with the fluid in your eyes creates a mild acid… ouch! You learn something new each… week. Newer post ← Rubenerd Show Made It Great!